"It was one of the first air accidents to be recorded on camera and it was broadcast everywhere. It created this conception that airships were really dangerous. Then World War Two started, aeroplanes became more advanced, and airships were gone." While airships cannot compete with conventional aircraft when it comes to speed, they offer other advantages. "They are extremely fuel efficient, which means they are environmentally friendly and have a much lower cost base to operate," Mr Henderson says. "They also have the luxury of space – you can build a luxurious cabin where people can eat and drink and walk around and, when you are looking at scenery, the slow speed is actually an advantage." Bungy jumping from an airship? For his master's thesis, Mr Henderson conducted market research to determine if there was market for scenic airship services in New Zealand. Over 500 people took part in the various phases of the research. "I developed a methodology for testing new and radically different tourist products because I didn't want to make any assumptions about people's attitudes to airships," he says. "Early on, there were some really crazy things suggested in the focus groups that no researcher would ever have considered putting in a survey." He determined not only that there was a sizeable market for both short scenic flights and luxury overnight tours in airships, but there was also an interest in adventure tourism. "As airships are lighter than air, they can easily hover in one place, so some study participants asked why not bungy jump at 5000ft and have all your friends watch you do it? I have to admit it really surprised me that over 30 per cent of participants were willing to pay to do that." Mr Henderson also found that while participants had concerns about safety, those concerns were easily overcome. "Most participants said they would be comfortable flying in an airship if the operation was approved by the Civil Aviation Authority, which it would have to be anyway. They also accepted that modern airships would be safer due to improvements in construction materials and control systems and the use of helium, which is not flammable, unlike hydrogen." Mr Henderson's thesis, which focuses on a potential Queenstown service, shows there is significant consumer interest in scenic airship experiences. His research analysed how many people would be willing to pay different prices, as well as the underlying motivations for purchasing a flight on such a service. "One of the key motivations throughout the study was novelty – consumers do not see scenic airship services as similar to existing tourist experiences. My master's thesis is basically the business case for establishing an airship tourism business and it clearly shows that people are willing to pay for such a unique experience." He says the only existing example of an airship tourism venture is the heritage experience offered at the site of the old Zeppelin factory. "But that is quite different to a scenic flight from Queenstown to Milford Sound," he says. "Just imagine being on a cruise ship but you are up in the air and you can see everything below you. It's literally a ship in the sky – but it's better and faster." Mr Henderson's methodology and findings have been published in the journal Tourism Management and he has lectured about the possibility of a new airship era at Massey University and to branches of the Royal Aeronautical Society. "a scenic flight from Queenstown to Milford Sound"
Sign me up for that! As long as the cost is not too pricey, I am confident many people like to try something like this. In a study that I made of transport airships, compared to the equivalent using jet aircraft, I showed that the cost using the airship was much lower, see: "Comparison Between the Direct Operating Costs of a Freight-Carrying Airship and the Boeing 747-200F", AIRSHIP, No.95, J. of the Airship Association, London, U.K., March 1992. However it assumed that the airship was designed to be as simple and cheaply made as possible, and not so luxurious as shown in this video. 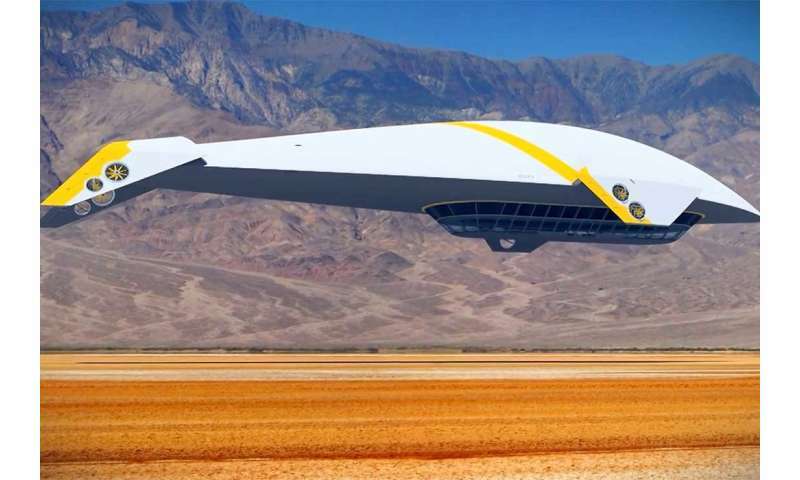 Since then, a large transport airship project has failed due to its high development costs. So the name of the game should be absolutely minimum construction costs, including my idea for a flat structure built on the ground which is later (by cables) pulled up into a ellipsoid/cylinder. I'm all for it. Develop a LFTR reactor, heat air, never need to land, you fly up and down from it. Make it as big as an aircraft carrier. Elysium.